Stephanie Carstens was born in Hamburg in 1979. She studied Nutritional Science at the University of Applied Sciences in Hamburg. She successfully completed her studies with a degree in the main subjects of product development as well as marketing. During her studies she was able to gain extensive knowledge in her internship in the product development department of Campbell’s Germany GmbH (Erasco). After graduating, Stephanie worked in various positions in the field of quality assurance/quality management in food producing companies as well as in food wholesale. She was head of quality assurance at BÄKO Rhein-Mosel eG for five years. In this position, she was also responsible for the certification according to IFS Logistics and was the contact person for food law issues. 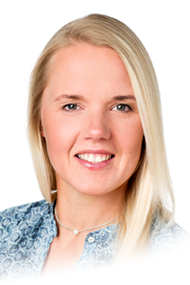 In addition to quality assurance, she also worked as a product manager, both in the office and in the field, on behalf of BÄKO for a declaration software especially developed for bakers and confectioners. Stephanie has been employed as Product Manager at innotaste GmbH since October 2016.